Menopause brings with it many changes – some of which a woman may expect will inevitably disappear once menopause is over. Actually, these symptoms can continue well into the postmenopausal time period. While menopause occurs when a woman experiences her last menstrual period, postmenopause is the time after menopause. During postmenopause, a number of symptoms that a woman experienced during menopause can continue to persist. For others, they may be fortunate and find that symptoms decline somewhat or disappear completely. Each woman will experience menopause and postmenopause in her own, unique way. While there are commonalities when it comes to menopause and postmenopause symptoms, your hormonal changes will occur at your body's own pace and what is normal for you can be quite different from what is normal for your friend or a sibling, for instance. A woman would be considered postmenopausal when she has been without a menstrual period for a full year. At this time, she is diagnosed as having experienced menopause and is considered in the postmenopausal period. 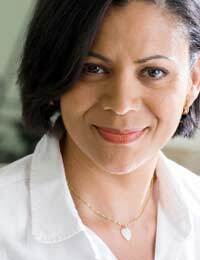 Some women find that after they are postmenopausal, they have a new vitality and energy. They may feel more like 'themselves' again and they may feel emotionally stable and mentally strong, having moved beyond the uncomfortable and challenging symptoms of the menopausal transition. However, other women can find that menopause symptoms persist well into the postmenopause years. Your hormone levels can continue to decline for several years into postmenopause, which means that any symptoms you were experiencing in menopause may take more time to disappear. If, however, you notice any kind of flow that is similar to a period and occurs during the postmenopausal years – even if it is only light spotting – you should see your doctor right away. Although uncommon, this kind of bleeding could signal endometrial cancer or another condition. A key concern during postmenopause is that the more time continues to elapse during which a woman is without the protective effects of oestrogen. Health conditions such as osteoporosis may now begin to occur during postmenopause. As a woman continues to age, her bones can become more brittle, leading to a greater susceptibility to fractures of the spine and hip. Osteoporosis and other health conditions, however, can be managed and sometimes prevented with appropriate lifestyle changes or medications. Since each woman is unique in her risk, you should speak to your doctor regarding your susceptibility and risk for health conditions in postmenopause. Once a woman is diagnosed as being postmenopausal, she is no longer considered fertile. After being without a period for a full twelve months, she is deemed unable to become pregnant. However, you should always continue to use your chosen birth control method until your doctor indicates that you are postmenopausal and can cease your use of contraception. It is also important to continue seeing your doctor on a regular basis for preventative checkups such as pelvic examinations. Menopause happens to each woman, whether it is a natural menopause or an induced one. The postmenopausal period can bring relief from menopause symptoms or you may find that these symptoms persist well into the postmenopausal time period as your body continues to change. Whether your postmenopause is a symptom-free experience or one with persistent challenges, you can make it better by taking care of your health and keeping a positive attitude. I am 54 years old and my periods stopped fours years ago.For the last one month i have been experiencing burning sensation all over my body, it first started with my feet ... is this part of post menopause sympton?or is it something else?Have never been on HRT.Thanks.Would appeciate your comment. I am 62 years old and my last period was 8 years ago. For the past week I have been experiencing all the symptoms of being on my period. I am having all the aches and pains always associated with my period. I have never been on HRT or anything else. This is so strange.absolutely no problems for 8 years and now this overwhelming feeling of my period coming again postmenopause! Please can someone address my concerns over these symptoms.